Internet shall be mine once more! 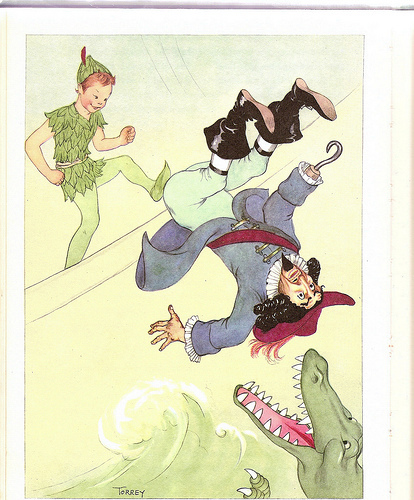 As a child I adored Peter Pan. You could even say he was a hero of mine. I understood him. And if he were real, he would totally have gotten me. The mere thought of growing up was revolting to me. Unwanted. I would remain a child for as long as I could! Who would want to grow up? All I ever saw around me were arguments and fights, stealing and lying, worry and despair. That was the "adult world". And why would anyone want that? To be free to run in fields or play in the mud! Without the concern of bugs, snakes, or how dirty one would become! It was amazing! Endless possibilities! No end to the world! It was all waiting to be discovered! To be awed at! The nights were always my favorite time. You could see stars from horizon to horizon. It was amazing! Adults didn't get it. They were too wrapped up in silly things like money. How dumb of them to get so caught up in the trivial! I, unfortunately, felt very connected to all of this for a long while. Well, into my teenage years I still had no desire to grow up. Not until recently did I discover how odd this really was. I simply wanted to live my life to the fullest! Full of laughs, love, and friendships! I didn't really care about what job I would have or how many children I would have. Those were things of the future. That was stuff for me to worry about later. Thoughts like these aren't healthy thoughts for a high schooler to have, I've recently been told. I've paid a price, a very high price, for not having plans, for not even having dreams or aspirations. Those again, were things of the future, things for "adults". I am now struggling to make ends meet and have hardly any real direction to life, educationally, professionally, or otherwise (despite what perception I purposely give off to people). I've also paid the price in love. I put all my eggs in high school baskets. Turns out those baskets were only for high school. Apparently everyone else got the memo. I didn't. Now I'm here with hardly any friends and with a haphazardly strung together love life. I fear the threat of my debts devouring me. They circle and gnaw at me. Waiting for the right moment to strike beyond the surface, while I calmly sit in my living room typying away on an old laptop. I fear being alone. So many people have left me... Whether by choice or not. And I have no family... What does that even mean? What does it mean that I don't know what it means? I stay up late into the nights hoping to enjoy the last fading crumbs of the previous day. ...even if I am alone while I do it. Tick, tick, tick, tick, tick, tick, tick. I used to make jokes at the noise. I used to laugh at it and make references to other movies, like All Dogs Go to Heaven. Now. Well. Now it's different. I close my eyes and I'm back in the room in the hospice wing of the hospital. My mom lays beside me in her bed. I can hear the ticking of the clock on the wall. It reminds me. It will never let me forget. When did I become Captain James Hook?